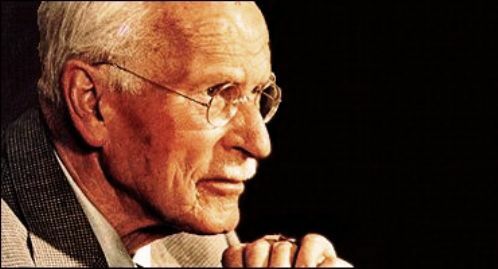 Carl Jung, is a highly regarded Psychoanalyst for his written works on dreams, archetypes and his theories on synchronicity. Here are some basic ideas and notes on synchroncity. What is is, how it works, and the various cases of such as lived by Kine Fall. is the line connecting psyche to an event in meaningful coincidence. To fully experience uncanny coincidence and feel a spontaneous emotional response. 1. Coincidence between thought and an outer event. E.g. Last summer I had been terribly bored at home, with not many people to hang out with since I had just returned home from college. I kept thinking to myself how I wanted to connect with some old friend I hadn’t seen in a long time, no matter who it was I just needed someone to share herbs with. Lo and behold, a week or so later im out with my father at the Shipping center( which i now work) and im waiting in the car when my old friend Cameron comes running out to hug me! 2. Someone has a dream or vision which coincides with an event taking place at a distance (later verified). E.g. I come from a West African family heritage and I believe the women in my family are gifted with visions. My sister one afternoon texted me to warn me that I should be careful smoking weed at school because she had a vision i’d get caught soon. I half listened to her, back in High school I wasn’t in tune with the metaphysical science of things. That week in school someone in my art class had decided to steal an ipod of a fellow classmate. My art teacher shut down the entire class when the bell rang since nobody confessed to taking it. The dean was brought in along with security to search everyone. In my bag I had some lighters and weed canisters. I quickly stashed the canisters in my art drawer but unfortunately I didnt realize that my lighters would cause trouble too. The ipod wasn’t returned before the dean got to me, the first thing she saw was the lighters, “oh yeah, I know this one… you got to come with me” my heart dropped. Right after the ipod was found in the classroom, I had been caught for other reasons. In her office she tore my bag apart checking every seam and crevice. She found a couple seeds and that was the first suspension in my life… my sister knew i’d get caught for something…. but I did not prevent it. 3. Premonition , dream or image of the future and then it occurs. E.g. I watched a movie based Akria Kurosawa’s Dream’s that included various vignettes of dreams that he once had. One dream was titled “Mount Fuji In Red” in which a nuclear reactor in Japan near Mount Fuji explodes and its six reactors fail. People are jumping into the ocean and three people stop to ponder the event. One of them is a business man who identifies each of the colored smoke trails as various toxic chemicals the worst one he calls, Plutonium-239 which he explains will cause cancer and defects in children. He explains this to a woman and she yells at him asking who would do such a thing he admits to be partly responsible. This movie was made in 1990. In 2011, six nuclear reactors failed and Plutonium-239 was reported in much of the fallout that has polluted the waters. What about you guys? Have any of these kinds of synchronistic events occured in your life? Of course they have. But which ones resonated so much with you that you’d like to share? Please feel free to comment and connect with us on your experiences with this interesting and long theorized phenomena!